I began an internship last Friday that I'll be doing two days a week until August. While my paid job is one that allows me to wear whatever nail polish I fancy, I wanted to tone it down a bit for my first day of the internship while still being true to my bold tastes. 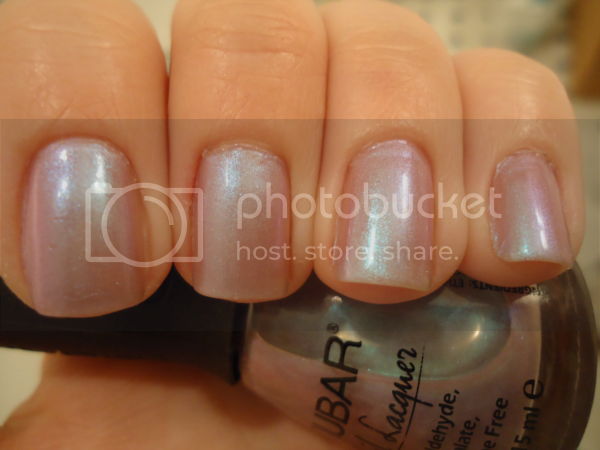 Naturally, the answer lay in one of Nubar's duochromes. 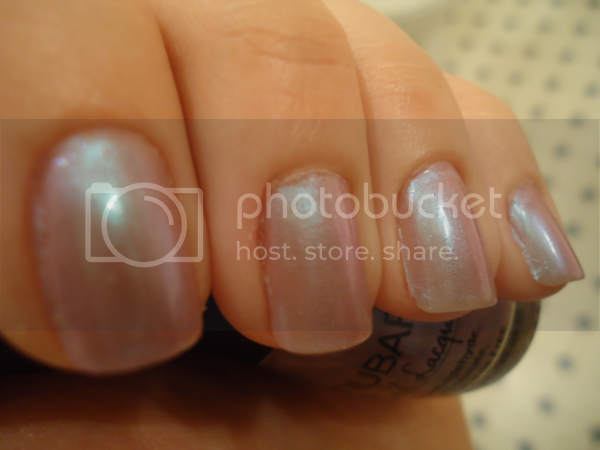 Nubar Innocent Whispers is a pretty opalescent duochome that shifts from grey to blue to pink. It's very sheer and isn't really meant to build up to full opacity, but I did three coats and more or less banished any VNL. I had no problems with the application, but there was a teeny tiny bit of bubbling on my index finger after using a top coat. As you can see, it's demure enough to be suitable for work, but interesting enough not to make me yawn. 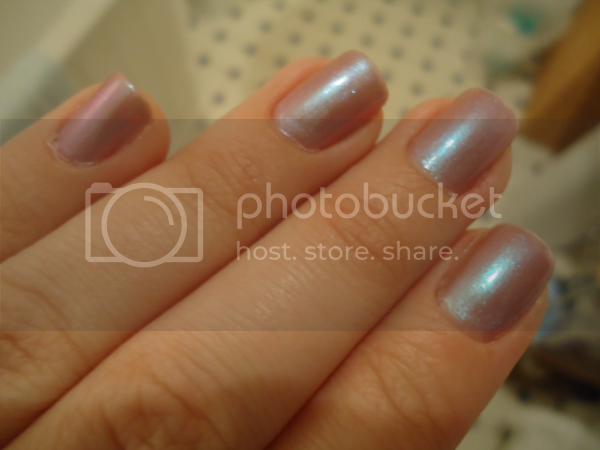 It actually reminds me of OPI Give Me the Moon, but I'd have to compare them side by side to be certain (would anyone like me to?). 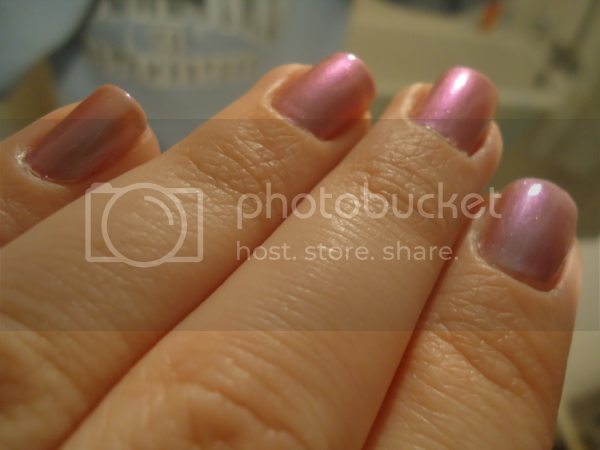 Yes, that really is the same nail polish!